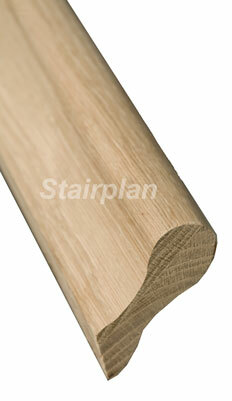 Stairplan offer lambs tongue wall handrail sections in Pine and White Oak. Lambs Tongue handrails are also known as Pigs Ear Handrail. This profile of handrail offers value and practicality, we suggest these are installed by a qualified carpenter.